we all know how busy december can be. it's quite the juggle balancing what is needful versus what we can get caught up in. the activity of december daily seems to keep me mindful of that balance. yet mindful to take the photos i want to remember. today i am sharing pages 2-7.
these pages were done early leaving me only to need to add photos and words as i was able. the left upper card is a home made journal card using Gold Lame' Color Shine, the 6x6 stencil and then a word die cut. liked how that turned out. 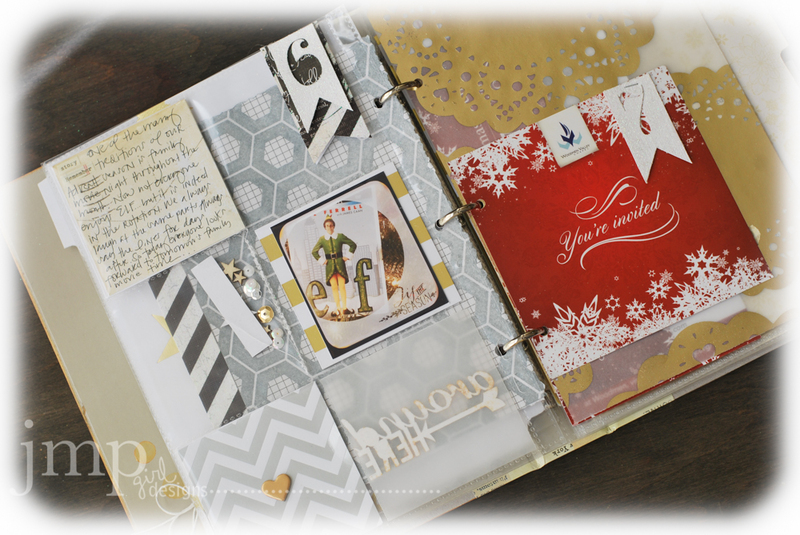 the kids tree is highlighted on this page and is layered over a piece of Believe from the 6x6 pad. on the right is a Color Magic Page Tab that you should still be able to find at Michaels. 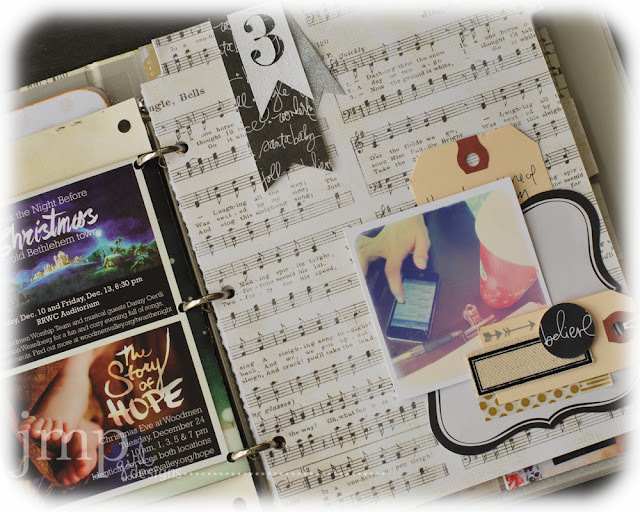 I made a card that holds more photos the same as the home made journal card. I like to repeat elements on a layout as it gives cohesiveness to the page. 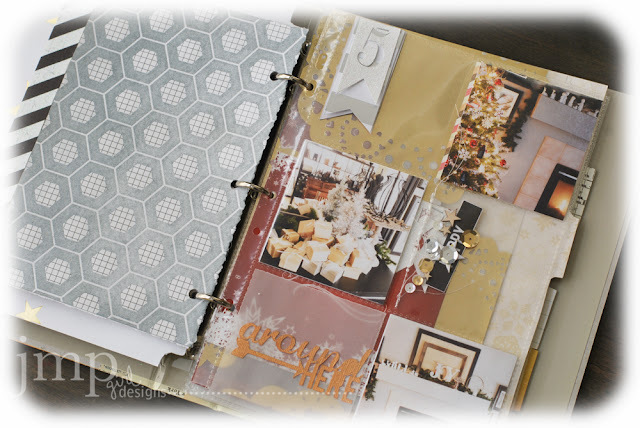 A tab page in the Chipboard album was covered with the music side of Jingle All the Way . The rest of the page is made of up my stash. 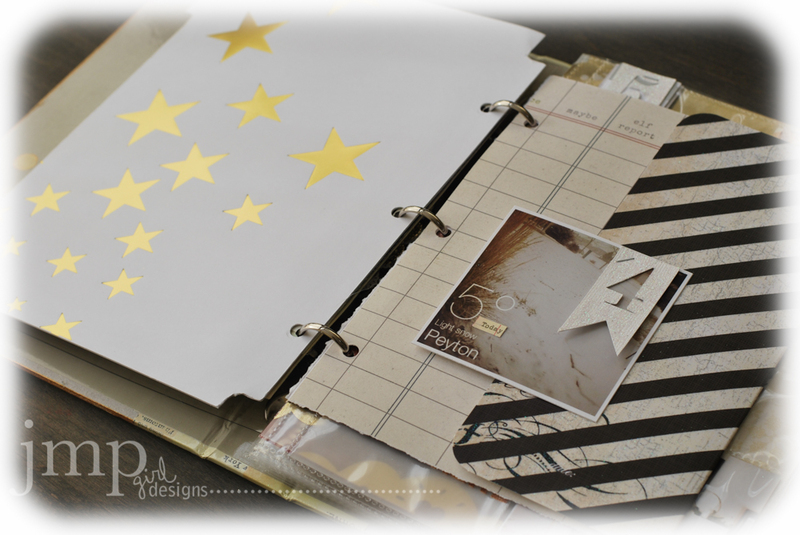 I appreciated Maggie sharing the 1 inch circle elements here and I will be adding them throughout my book. As you know I am also playing along with the #heidiholidayfotofind scavenger hunt. I am finding some of those photos making their way in to my album as well. Which is fine. Some days I only get a single photo and moment captured, and that is what I will go with for the December Daily as well. Day 4 is pretty simply arranged. 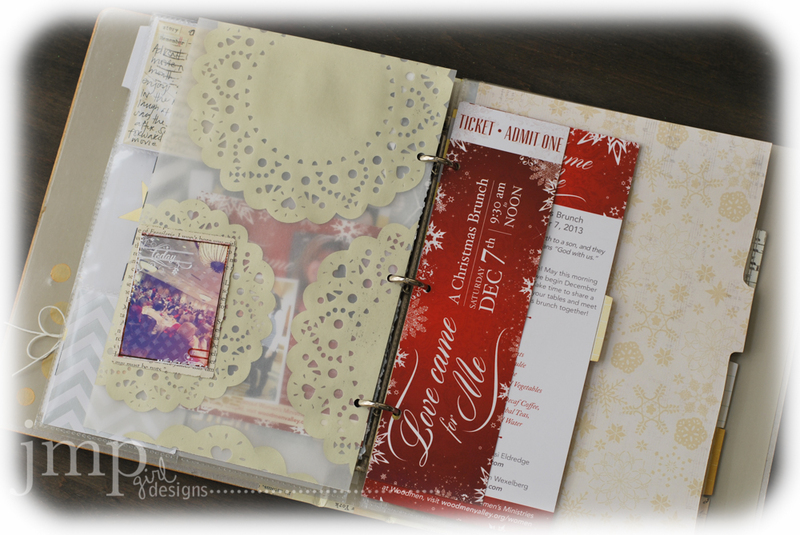 The opposite side of the tab page is covered in a sheet of Luxe from Pink Paislee. The right side is a fold over flap of a page that hides another photo and journaling. I designed the notched number banners for the Sizzix eClips machine and love how those are working out. 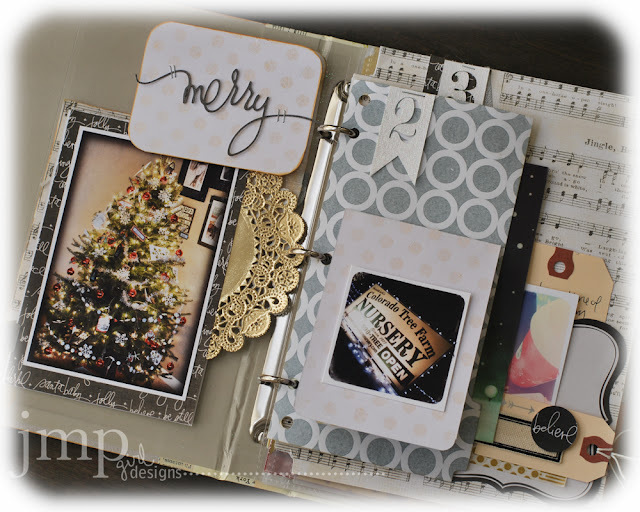 Day 5 is home to one of my favorite pages to play with, and that is the photo page protector that is already included in the Chipboard Album. I added 3 photos of what I titled "around here'. Seems I always forget how I decorated around the house, so I wanted to add those. There is a pocket of confetti and found objects, and a space for the day and then a vellum pocket with the die cut. Day6 is on the opposite side. My past books always have pamplets and flyers and invitations and church bulletins included. Day7 shares my Christmas brunch I had with friends recently that our church hosted. So I added several of the elements from that morning as well as a photo of the 'crowd' as that happened to be that days #heidiholidayfotofind. Now off to find more memories to share. Will be back with more December Daily next week.